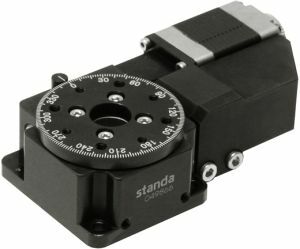 (2 pieces) and 7VT174-5 stacked. 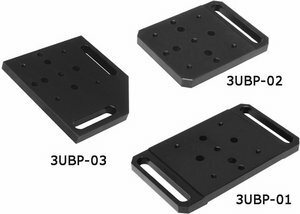 3UBP universal base plates for stacking the translation stages to STANDA optical tables or to another stages. 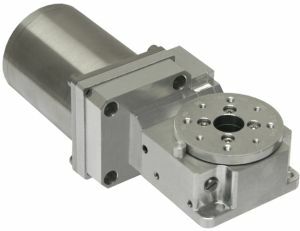 All characteristics like non-vacuum model. 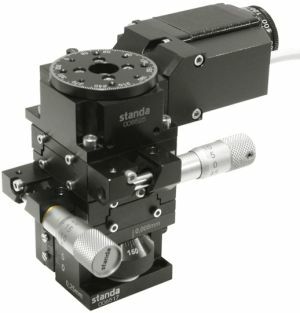 In the video below motorized rotation stage 8MR174-11-28 is mounted vertically within multi-axis system.